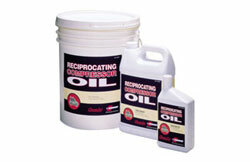 Air Compressor oil is vital to the life of your compressor in many ways. Adequate lubrication cuts down on the harmful wear and tear that can happen to the internal mechanisms of your compressor over time, saving you money on maintenance. Plus, a properly oiled machine is more efficient, which keeps power bills from becoming unnecessarily high. These are just a few of the reasons why compressor oil levels should always be checked and maintained. Let our air compressor specialists advise you on the right oil for your particular compressor, and enjoy an efficient machine with extended life. We are proud to serve residents and businesses from Mountain City to Dickson and across central Tennessee. Call or e-mail us today to learn more about our selection of air compressor oil and other accessories for your machine.